Home » Assisted Living » What Does Assisted Living Cost? We all want to remain independent for as long as possible, but some seniors realize at a certain point they could use some help with daily activities. An assisted living lifestyle is often the most appropriate next step in this situation. Assisted living is independent living in an apartment with the added benefit of having help nearby for medication management, meal preparation, housekeeping and transportation. Seniors enjoy social connections, wellness programs, secure housing and cultural outings in an assisted living facility. 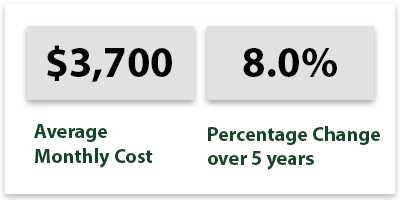 Costs associated with assisted living include the housing, utilities, and care services. There are thousands of choices across the country for seniors who want to join the assisted living lifestyle and who don’t need skilled nursing care at all times. The National Center for Assisted Living reports that more than 835,000 Americans are now residing in assisted living facilities, which shows its popularity. The average median cost for an assisted living apartment in the United States is about $3,700 per month and the majority of residents are age 85 and older. 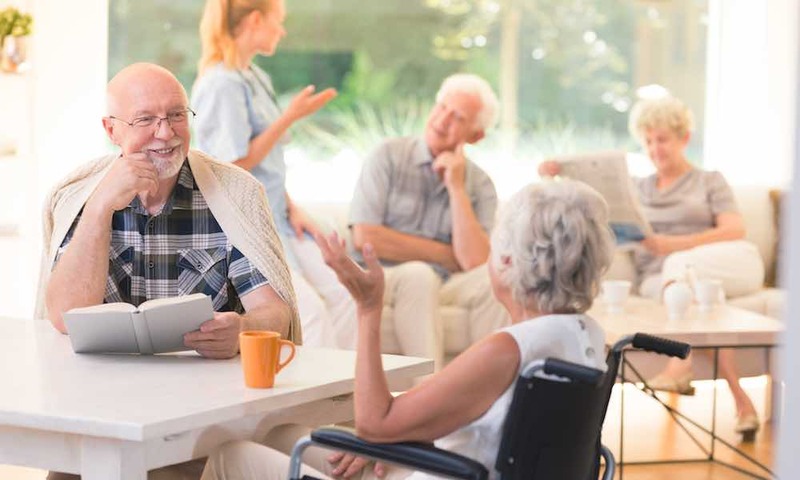 You should be able to locate an assisted living facility in and around the closest city to you but keep in mind, facilities in large cities are usually more expensive than facilities in suburbs or smaller cities. 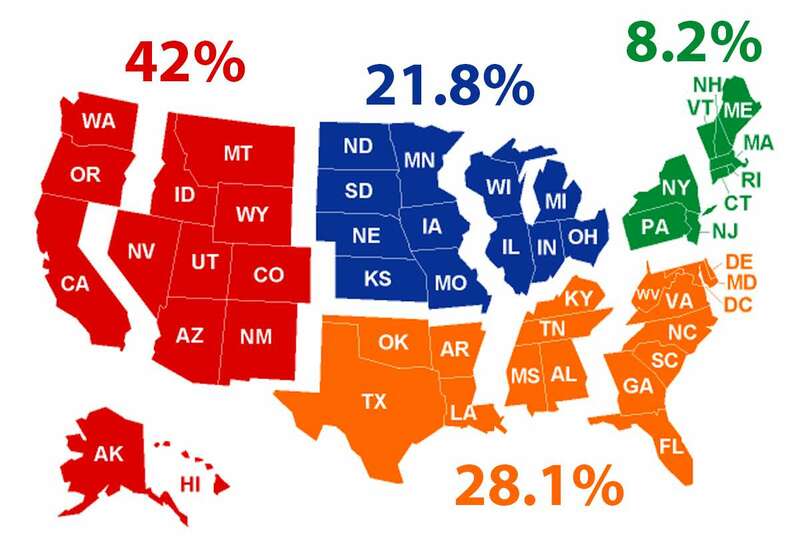 Residents living in assisted living facilities are dispersed regionally as follows with 8.2 percent living in the Northeast, 21.8 percent in the Midwest, 28.1 percent in the South and 42 percent living in the Western United States. The farther north you go, the more you will typically pay to make an assisted living facility your home. Genworth reports the most expensive states for assisted living facilities are in Alaska, New Jersey, Delaware, Connecticut and Massachusetts, while the least expensive states include Missouri, Alabama, Georgia, Kentucky and Michigan. According to The National Center For Assisted Living there are 30,200 assisted living communities with 1 million licensed beds in the United States today. So, if you have decided on an assisted living lifestyle, there is most likely a community suited to your needs located in a city close to you. Communities range from four beds to almost 500, so decide on what size of community best makes you feel at home. Typical services offered include 24-hour supervision and assistance, exercise, health and wellness programs, housekeeping and maintenance, meals and dining services, medication management or assistance, personal care services and transportation. Make your choice based on your budget, needs and preferred location. There is usually a buy-in fee, which is a one-time payment for joining the assisted complex. Check to see if your chosen facility charges a flat yearly fee or a tiered fee that allows you to choose your services a la carte. With the latter, you only use and pay for the services you need, while you may find it less expensive to get the full menu of amenities. Research closely with these questions these in mind. The American Seniors Housing Association reported that in 2016, the median price for a one-bedroom assisted living apartment with a single occupant was $3,628 per month. The most recent records show the cost of an assisted living facility is $45,000 a year, with a proposed five-year annual growth projection of 3 percent, according to the 2017 Cost of Care Survey by Genworth Financial Inc. If the trend continues, costs are likely to go up each year, so it is important to plan for this expense as early as you can. The U.S. Department of Health and Human Services reports that an American turning age 65 today has a 70 percent chance of needing some type of long-term care services and support in his or her remaining years, so it’s wise to do your research now before deciding later to move to an assisted living facility. After retirement, you start to pay attention to your budget a little more. Cost is one of the biggest factors to consider when it comes to searching for an assisted living facility. It’s important to know how much assisted living facilities cost according to each city and state. We ranked our cities from least expensive to most expensive so you can make sure you stick to your budget.